Caribbean Dance Cardio, Tone N Ting, Carnival Choreography. The Caribbean vibes in the space create an energy like no other for all our participants. The experience is fun, energetic, and transformative for both the body and mind. All body types, all ethnicities, and all dance levels are welcome. Description: As seen at Lululemon, Titika, Elle Fitness, The Coconut Festival, our "Caribbean Dance Cardio" classes are an excellent way for you to keep fit and stay healthy while having fun. It fuses Soca, Dancehall music and more through an energy filled, fitness experience that strengthens upper body, lower body and core. The Caribbean vibes in the space create an energy like no other for all participants. All dance and fitness levels are welcome. Description: As seen at Habitual Fitness, Humber College and the City of Toronto, "Tone N’ Ting involves less jumpin’ and wavin' with more tonin' and tightenin' to help you sculpt that Carnival body. 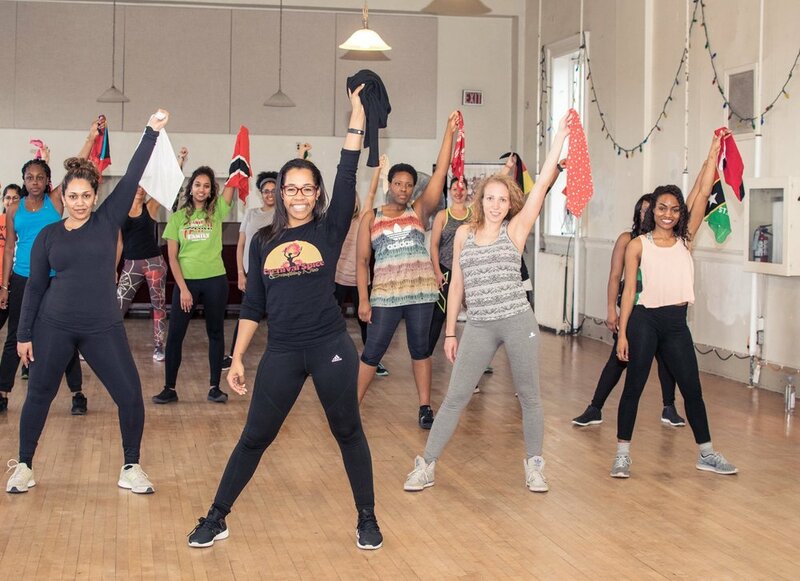 It offers a blend of dance cardio and resistance training to your favourite Soca, Chutney and Dancehall hits. 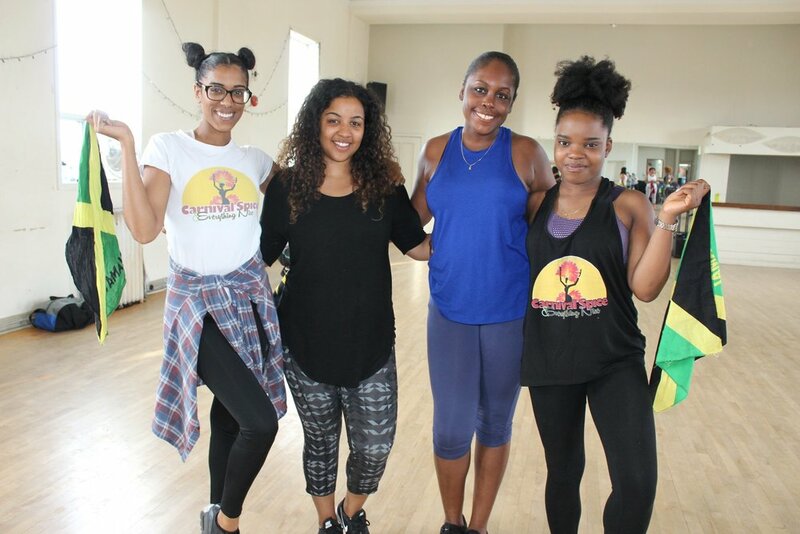 Description: As seen on Breakfast Television, CP24 Breakfast and more, our “Carnival Choreography” workshops will keep the Caribbean vibes pumpin’ high as you develop coordination, style and musicality. Participants will learn a routine combination step by step to a hit soca or dancehall song. Private, Corporate, or Community Bookings.